Art Cover - Very Good. 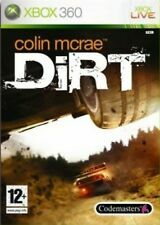 Colin McRae DiRT 2 (Microsoft ⭐️Xbox 360⭐️Kids Game⭐️. Condition is Good. Dispatched with Royal Mail 1st Class Large Letter. Need For Speed Rivals ⭐️xbox 360⭐️Kids Game⭐️ Car Racing L⭐️. Condition is Good. Dispatched with Royal Mail 1st Class Large Letter. Decap Attack starring Chuck D. Head. Shining Force. Shining Force 2. Phantasy Star IV: The End of the Millennium. Gain Ground. Phantasy Star II. Phantasy Star III: Generations of Doom. Art Cover - Very Good. Original case & both discs &both manuals. UK pal format. Let loose your inner Kung Fu power to defeat enemies! - Use strategy and problem solving to master Kung Fu! - Perform defensive combo sequences as you defeat enemies alongside the Furious Five - Kung Fu is at risk of being gone forever! King Kong ⭐️xbox 360⭐️Kids Game⭐️peter Jackson⭐️. Condition is Like New. Dispatched with Royal Mail 1st Class Large Letter. Table Tennis for Xbox 360. Authentic Table Tennis Simulation for 1-2 Players. Kinect Star Wars for Xbox 360 KINECT SENSOR REQUIRED . DISC HAS BEEN CHECKED AND WORKS PERFECTLY ON MY CONSOLE.